What do you think are the big internet companies doing when they say they are going green? One single Google search query consumes 2 to 8 watt-hours of energy. To put this on a scale, Google processes petabytes of information on a daily basis while indexing the web and doing other various things. If we average this out to 4.5 watt hours per query, and consider Google is easily handling 400 million queries a day based on comScore metrics, then we can see 1,800,000,000 (1.8 billion) watt-hours of energy being used daily just for basic search queries. 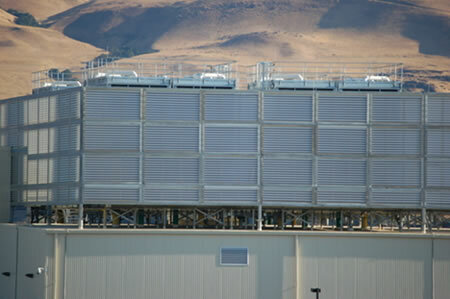 When a big company like Intel or Google refers to “greening” or “going green” with their server technologies the first step is finding a renewable or more efficient power source. Generally wind-power and biomass come to mind, but we’re going to need more than that to power the web as you can already see. You have to remember that a website like Youtube doesnt just rely on some hard disks spinning in some guys dorm. The amount of heat produced by these data centers is another intimidating issue we have to face… With the currently technology available we’re forced to use AC units and massive cooling centers to keep all of the servers at around 70 degrees or less. The hot air gets pumped out of the centers and usually outside, although some companies are finally using this excess heat to power office buildings and heat up pools in surrounding areas. The Eco-friendly MSI N9600GT Hybrid Freezer Graphics comes with the Hybrid Freezer cooling technology that boasts the most power-saving environmental protection and the most efficient Hybrid Freezer cooling radiators. Utilizing the Hybrid Freezer technology, users can strictly monitor the temperature and control the ventilation for a more silent operation, high computing performance and effective heat dissipation. 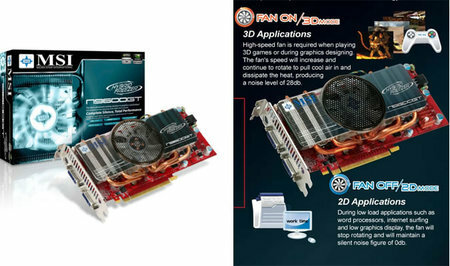 MSI N9600GT Hybrid Freezer Graphics Card is based on 65nm G94 GPU and includes 64 stream processors, and DDR memory on 256-bit memory interface. MSI N9600GT Hybrid Freezer Graphics Card also supports the latest technology such as NVIDIA SLI Technology with PCI-Express 2.0 interface for blistering graphics performance. Very few companies take a green initiative while producing new products that help the environment. 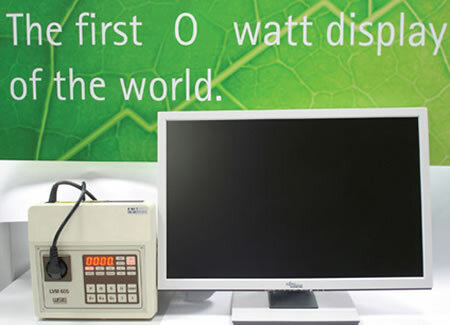 Fujitsu Siemens has developed a new monitor that claims to use zero power in standby mode. This money-saving monitor miracle is made possible thanks to a built-in switch that shuts down the monitor completely when a signal from the computer is absent—and then abruptly brings it back to life when the signal reappears. This sort of technology will prove especially useful for businesses, which is why Fujitsu is aiming squarely at this market when the monitor is released this summer.